The Food Allergen Labeling Consumer Protection Act of 2004 [FALCPA] requires packaged food items to declare wheat and other allergens, but medications do not fall under the umbrella of the FDA's rulings. Medications contain the active ingredient, but generally it needs to combined with something else - something called an excipient. It's a pharmacological term used for an inert substance that acts as a carrier for the actual drug itself [the "active ingredient"]. Excipients are also used as a filler to bulk up formulations to ensure proper and accurate dosages and as a binder [pill form]. For an extensive list of excipients, see glutenfreedrugs.com Excipients List; complete with descriptions. Drugs.com has an excellent Inactive Ingredients page. Does not address gluten, but very in-depth explanations of each item. *These items need further investigation if the source of the starch is not specified. The ingredient in question could be derived from either a glutenous or non-glutenous plant source. Since drug companies don't have to disclose source of the starch, there is no easy way to tell if certain ingredients are gluten-free. Calling the manufacturer is the only [and best] option. NOTE: This conversation was from 2013. I have not contacted them since. So far, Mylan Labs has the best response about GF status of several pharmaceutical companies. I was doing a status check on a medication and had an interesting talk with a Mylan [a drug mfg] customer service rep. He was very knowledgeable and understanding. He was a nurse, so he had a clue about celiac disease. He even mentioned gluten sensitivity. They have a manufacturing facility in Morgantown, WV where 80-90% of their meds are made. The rep I spoke with last was based in WV. The rep I spoke with earlier, was not from location, probably PA. They do outsource some meds to a facility in India. I was told that no wheat, barley, rye, spelt or oats are used in that facility in Morgantown. I was told by the rep in PA 3 months ago, that the "no gluten" was no longer the case. I will still continue to verify that info every 3 months at refill. I asked raw ingredients were tested for gluten...he said ingredients were tested for quality and purity, but did not specifically say gluten. He did mention that they did test one of their meds [I can't remember which one], and it tested as gluten-free. "This guidance is intended to convey to drug manufacturers FDA’s recommendations on how 17 certain drug products should be labeled regarding gluten, a matter of interest to individuals with 18 celiac disease. Some individuals with celiac disease have faced difficulty when trying to 19 determine whether specific drug products contain gluten. Confronted by uncertainty, some 20 patients may forego important medication rather than risk an adverse reaction to gluten. Thus, 21 even if gluten is not present at levels that would harm a typical individual with celiac disease, 22 that individual may be harmed through uncertainty and lack of information." A good resource to start your GF meds search is http://glutenfreedrugs.com/ This site is maintained by Steve Plogsted, PharmD, BCNSP, CNSC and his pharmacy students at Columbus Children’s Hospital, Columbus, OH. As with all gluten-free lists - they should only be used as a guide - a starting point. Please verify the status of these products before you take them as ingredients can change. A lot of great information about medications and gluten. Download the slides from that webinar - another excellent resource! "Abstract: Celiac disease is a chronic condition involving an abnormal immune response to the ingestion of gluten-containing foods and products that commonly results in digestive symptoms, although other organ systems may be involved. The current mainstay of therapy is the avoidance of gluten-containing foods, beverages, and other products. However, if not equipped with the knowledge that medications, OTC products, supplements, and vitamins may contain gluten, patients with celiac disease may experience ongoing symptoms from continued ingestion of these products. Therefore, pharmacists play an essential role in educating patients and evaluating their medication use to ensure the optimal management of celiac disease." This is a great article, despite it's age [Jan. 2007]. If you are gluten-free and take medications, please take the time to read this article and educate yourself. Pharmacists also need to be educated about gluten-free medication as well. It has been my experience that GF knowledge is hit and miss [at least in my home town]. I printed this article and gave it to my pharmacist. Note: Due to the article's age, any brand name products that are stated as gluten-free, should no longer be considered GF. It's my opinion that any published list of gluten-free products, should not be blindly followed. Since manufacturers can change the ingredient list without notice, the product needs to be verified with each purchase. Great article by Lisa Fitterman about gluten in medication. Great article by Erica Dermer. Can your pharmacist tell you whether there's gluten in your prescriptions? 4 tips to make your medications safer. Living Without Feb/March 2012 Issue - Is there gluten in your medicine? A lot of good information in this interview with Steve Plogsted, PharmD, BCNSP, CNSC. More info about gluten in medication. Another interview with Steve Plogsted, PharmD, BCNSP, CNSC. Hints and tips from Nancy Lipid. DailyMed provides high quality information about marketed drugs. This information includes FDA labels (package inserts) and ingredient lists. This Web site provides health information providers and the public with a standard, comprehensive, up-to-date, look-up and download resource of medication content and labeling as found in medication package inserts. The National Library of Medicine (NLM) provides this as a public service and does not accept advertisements. 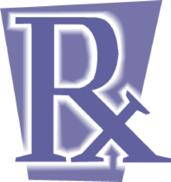 Pillbox – Provides a way to search medications by ingredient. The Pillbox website was developed to aid in the identification of unknown pills (oral solid dosage form medications). It combines images of pills with appearance and other information to enable users to visually search for and identify oral solid dosage form medications. Once a pill has been identified, additional information is provided, including brand/generic name, ingredients, and the National Drug File identification number. NFCA presents some basic background information on celiac disease and areas where gluten might hide in medications. Sadly, NFCA no longer offers a free online continuing education program for Pharmacists. However, a handout from the program is still available: Celiac Disease Training for Pharmacists. Still worth sharing with your pharmacist. They also have a PDF for Pharmacists. American Celiac Disease Alliance's "It's Time for Gluten-Free Labeling on Medications"
Reps Tim Ryan (OH) and Nita Lowey (NY) have introduced the Gluten in Medicine Disclosure Act (HR 2003). This bill requires the sources of gluten to be listed on medication labels. Please, Click here to tell your Representative that we need better labeling on our medications! Follow this bill's progress via GOVTrack.us. Suzy Cohen RPH "America's Most Trusted Pharmacist"
Suzy Cohen participated in Dr. Tom O'Bryan's Gluten Summit: A Grain of Truth. Her topic was "Hidden Sources of Gluten in Your Vitamins and Medications". She offered a lot of great information about navigating the world of medications. If you missed the free airing of these interviews, you can purchase access to all 29 amazing interviews. Suzy's DearPharmacist.com website contains a couple of links worth checking out. Hopefully you and your Pharmacist find this info helpful. update 01/20/18 - added FDA's Draft guidance document on GF drug labeling. update 09/12/15 - Added Living Without's - Gluten-Free and More article "Gluten in the Pharmacy"
update 05/13/15 - Added Living Without's - Gluten-Free and More article "Allergens in your Medication"
update 02/23/15 - Added Medscape article "Medications and Supplement Use in Celiac Disease"
update 05/25/14 - Added About.com article. update 05/25/14 - Added PracticalGastro 2008 & 2009 articles. update 05/25/14 - Added Delight Gluten-Free Magazine article. update: 05/03/13 - added more info on excipients.